Technology is a powerful tool in today’s real estate market. Our presence on the World Wide Web gives your property maximum exposure to potential buyers 24 hours a day, 7 days a week. Worldwide access to information about your home is available on Realtor.com, the website of the National Association of Realtors® and our corporate website, SunwestRealEstate.com. Your home will be listed with our MLS (Multiple Listing Service) so that all active agents and brokers can find your home and include when they show their buyers possible new homes. 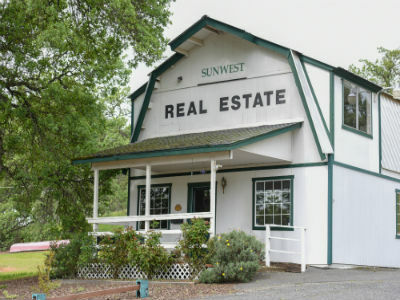 A unique Sunwest Real Estate, Inc. sign will be placed in your front yard and a flyer box will contain the outside flyers. You’ll be given tips on preparing your home and property for sale. You’ll also receive information to assist you prepare your home/property for each showing. First impressions, of course, are the most important so we will work together to make the strongest of first impressions. We refer to this task as “ShowTime”. FREE – We Will Introduce You To The Top Professionals To Assist You With Your Real Estate Needs Out Of The Brown’s Valley, Loma Rica, and Penn Valley Area. Contact Sunwest Real Estate, Inc.